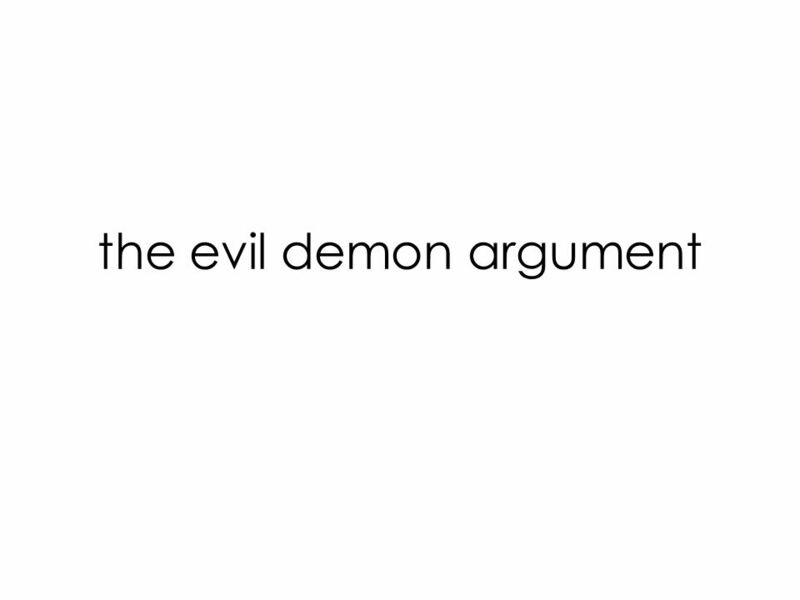 The evil demon argument. I will suppose, then, not that Deity, who is sovereignly good and the fountain of truth, but that some malignant demon, who is. 6 The Dreaming Argument (1)I can’t be certain I’m not dreaming. 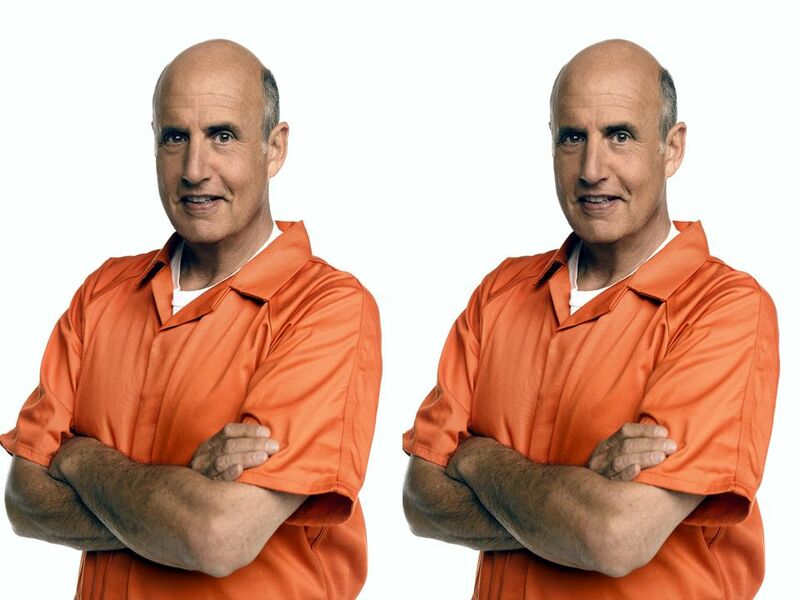 (2)If (1), then I can’t know anything about the external world. (3)I can’t know anything about the external world. 7 The Evil Demon Argument (1)I can’t be certain I’m not being deceived by an evil demon. (2)If (1), then I can’t know anything about the external world. (3)I can’t know anything about the external world. 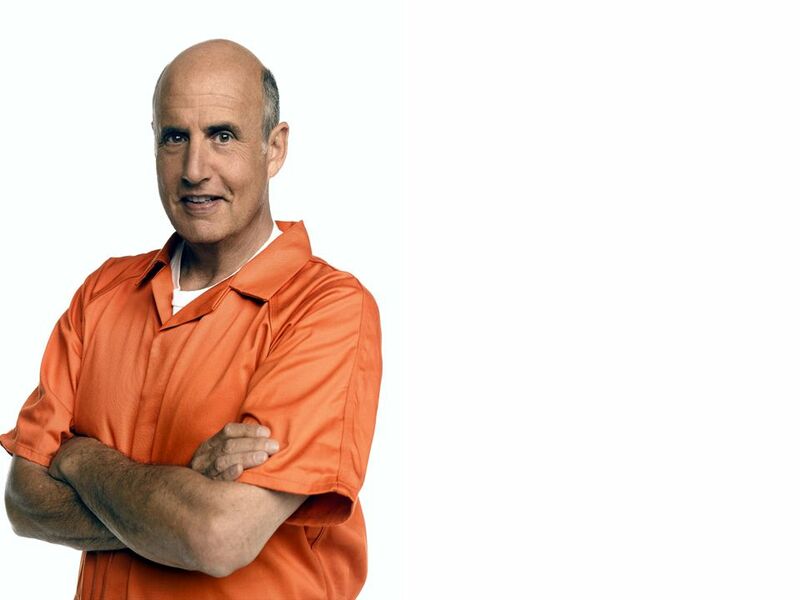 8 1)I can’t be certain I’m not being deceived by an evil demon. 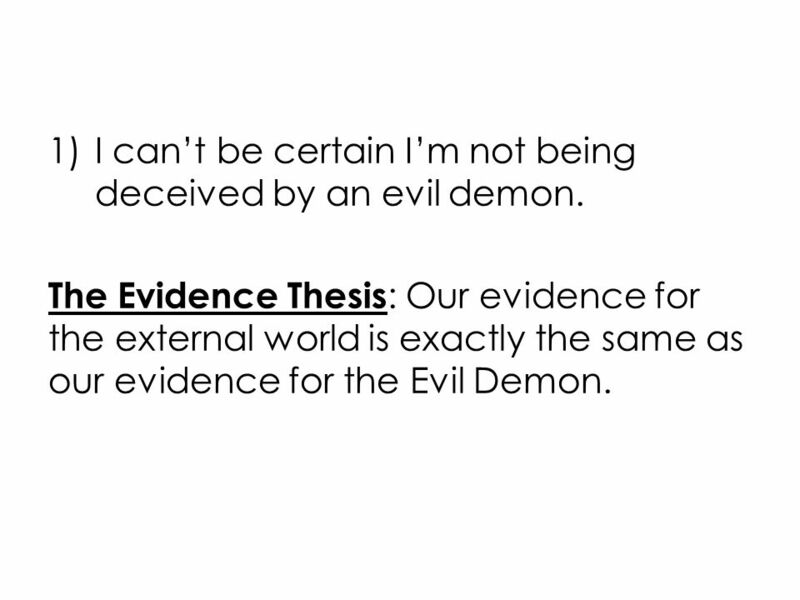 The Evidence Thesis : Our evidence for the external world is exactly the same as our evidence for the Evil Demon. 11 1)I can’t be certain I’m not being deceived by an evil demon. 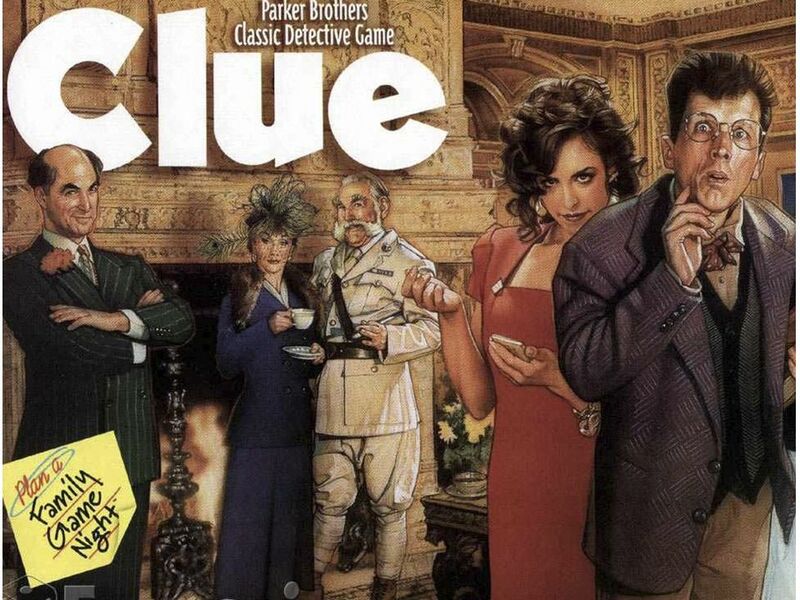 The Evidence Thesis : Our evidence for the external world is exactly the same as our evidence for the Evil Demon. 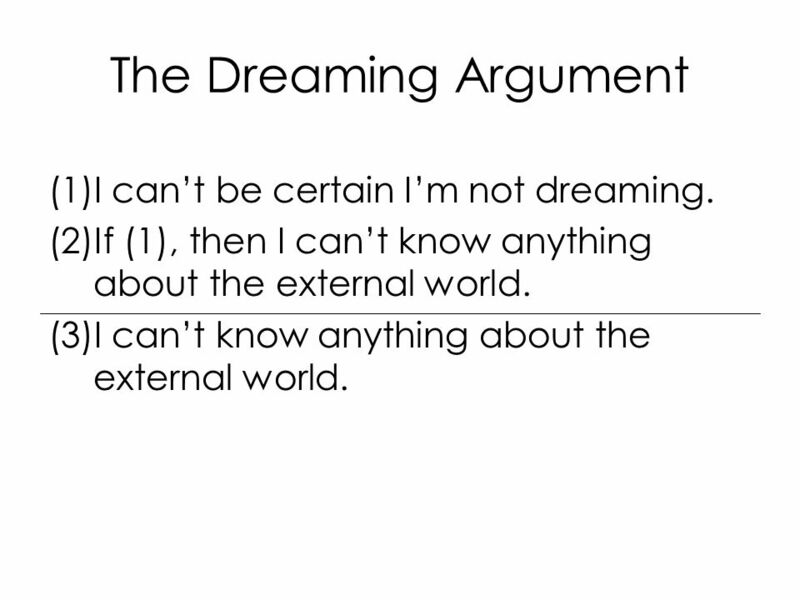 12 2)If (1), then I can’t know anything about the external world. 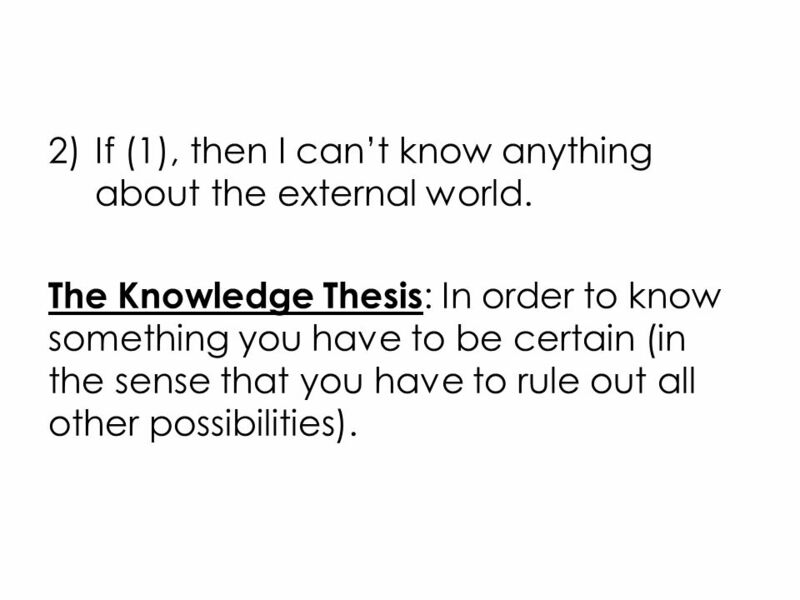 The Knowledge Thesis : In order to know something you have to be certain (in the sense that you have to rule out all other possibilities). 14 The Evil Demon Argument (1)I can’t be certain I’m not being deceived by an evil demon. (2)If (1), then I can’t know anything about the external world. (3)I can’t know anything about the external world. 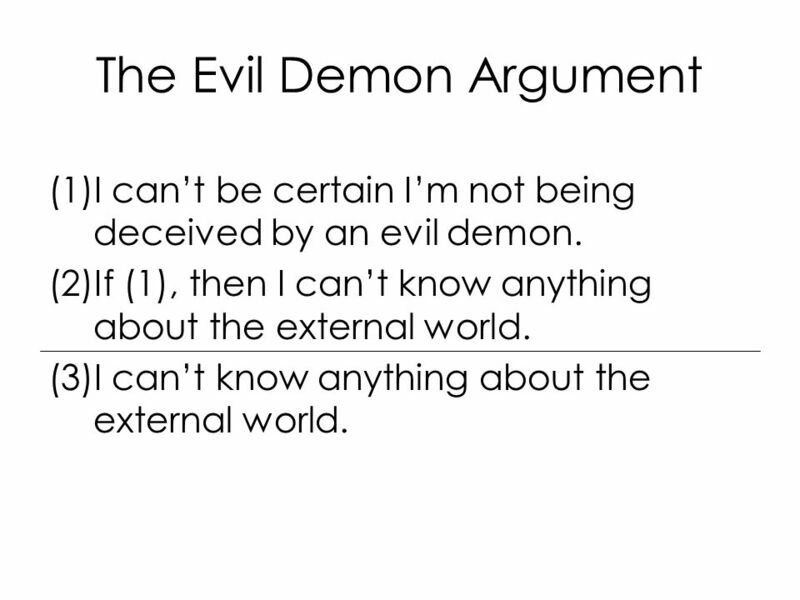 Download ppt "The evil demon argument. I will suppose, then, not that Deity, who is sovereignly good and the fountain of truth, but that some malignant demon, who is." How do we know what exists? The ontological argument. I had the persuasion that there was absolutely nothing in the world, that there was no sky and no earth, neither minds nor. The Cogito. The Story So Far! 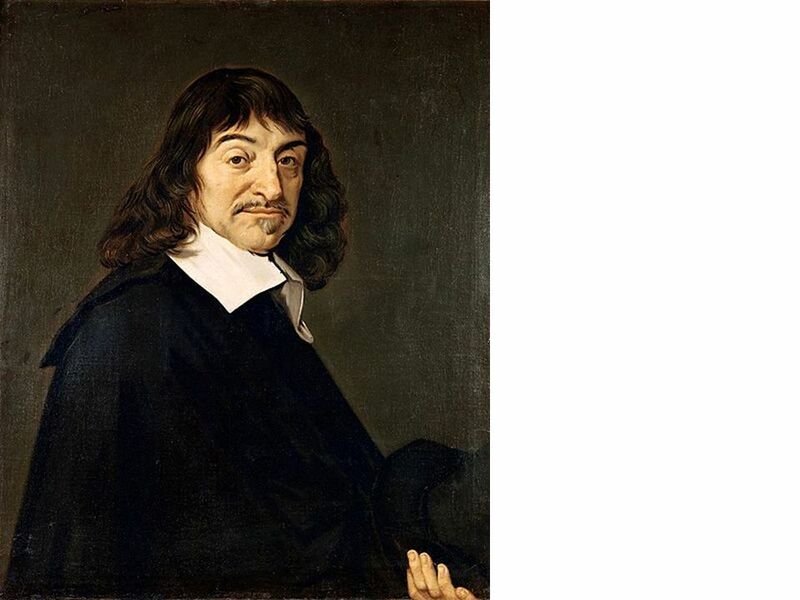 Descartes’ search for certainty has him using extreme sceptical arguments in order to finally arrive at knowledge. He has. SKEPTICISM Section 3. Three Theories of Knowledge. 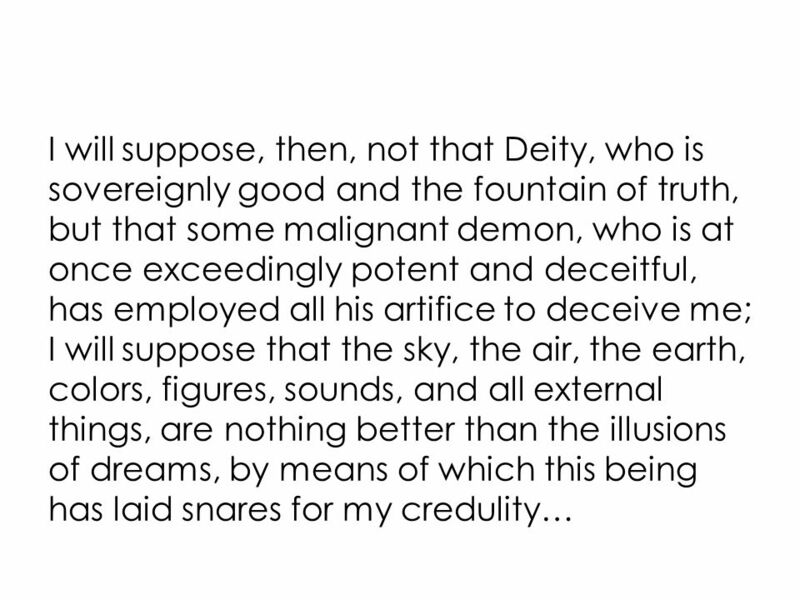 Intro to Existentialism You are free to choose…..
Descartes’ Meditations. Four bulldozers of doubt: –I can’t trust my senses –I could be crazy –I could be dreaming –A malicious demon could be out to fool. René Descartes ( ). 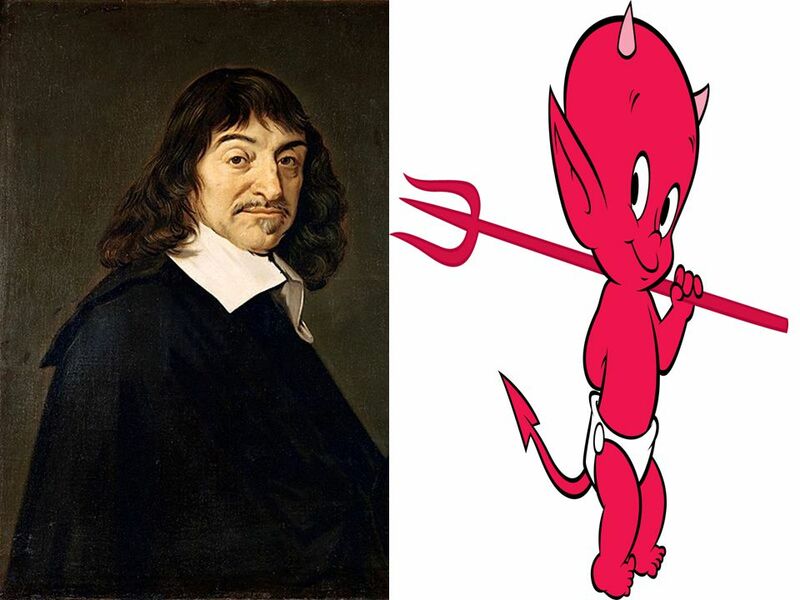 The popular version of Descartes. 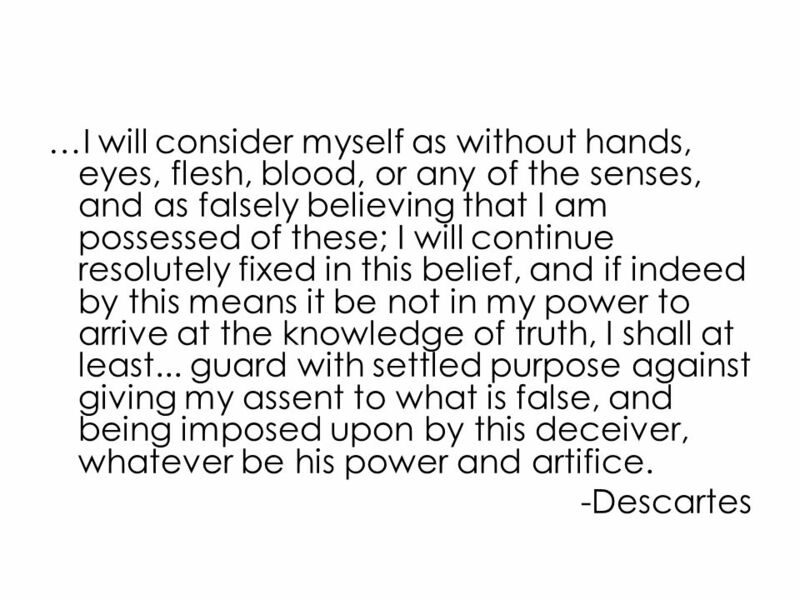 Descartes’ Meditations. Suppose Descartes has proven his own existence as a thinking thing: Can he prove anything else with absolute certainty? Mathematics? Skepticism The Causal Argument. God A nd now I seem to discover a path that will conduct us from the contemplation of the true God, in whom are contained.